As a follow-up to Part I of this article (with the same title) that was published in the Spring 2013 issue of The Professional Family Mediator, we continue with Part II by asking the critical question: How do the proponents of family mediator certification propose to eliminate divorce mediation’s divided house? How did he justify excluding the preparation of mediation agreements as representing the practice of law? 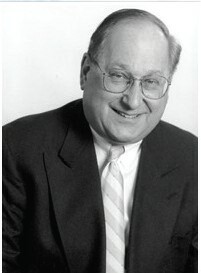 He started by saying that “Settlement agreements in divorce mediation should be no different from settlement agreements in other matters.” He then argued that students, clerks and volunteers are not only routinely employed “to mediate in small claims, municipal and landlord tenant courts” but that the court “trains and requires the mediators to prepare settlement agreements when the process is successfully completed.” If that does not constitute the unauthorized practice of law, then neither does a divorce mediator’s preparing the parties’ ultimate agreement. The document prepared by a divorce mediator is not a “settlement agreement” consisting of one or two pages. It is a very comprehensive agreement (When the parties have children, my agreements typically run to at least fifty or more double-spaced pages, not including attachments). None of us would suggest that a student, clerk or volunteer would be competent to prepare a partnership agreement for two people who were planning to go into business together. What makes them more competent to prepare an agreement for the two of them when they are dissolving their business? Nothing, and referring to it as a “settlement agreement” does not change that. There was another argument made that was no better. This was based on the fact that so many people today get divorced pro se (acting as their own attorneys). They not only process their divorce papers on their own, but they also prepare (draft) their property settlement agreement or separation agreement by themselves, without anyone else’s assistance. Let us grant that the attorney who advanced this argument has established that the parties who appeared pro se were competent to prepare their own agreement and perform an act that we thought was strictly within the competence of lawyers alone. Let us go further and assume that, carried away by what they have done, one of them decides to help others who find themselves faced with a similar problem. He is going to hold himself out not as a divorce mediator but as a divorce consultant. 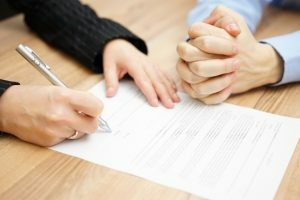 In other words, like divorce mediators who are mental health professionals, he is going to prepare the agreements that divorcing husbands and wives have come to and will ultimately sign. And, like a mental health professional now acting in the same capacity as a divorce mediator, he is going to charge them for his services. Are any of us going to feel comfortable with this? To put it more directly, will even the attorney who used this as the basis for her contention that mental health professionals acting as divorce mediators should be permitted to do this feel comfortable with this suggestion? The question is a rhetorical one. As a matter of public policy, we do not want to give lawyers such a monopoly when it comes to the law that private citizens cannot do their own legal work, whether they are competent to do so or not. But, this does not mean that we are willing to expose the general public to their incompetence. However, the irresponsibility here goes beyond that. In the name of certification and the need that it has created to erase any distinction between the two principal disciplines that have contributed to this field, we seem willing to reduce to literally nothing the skills that go into becoming a lawyer. If I were to suggest that, on the basis of the two weeks that I spent in a Psych 101 course, I am competent to do psychotherapy, I would be laughed out of the room. But, that is exactly what we are saying when it comes to the practice of law. There is nothing so special about it. If you can read English, you can read and understand a legal decision. And if you can write in English, you can draft a separation agreement. One panelist went further; in a private conversation he said that, on the same basis, a divorce mediator who was not an attorney could even express a legal opinion! No, he can’t. To express a legal opinion is to make a prediction as to what a court will do in a particular situation. The problem, as any competent lawyer will tell you, is that it is not possible to know that with any reliable certainty, which is why a responsible lawyer will be very careful when it comes to expressing a legal opinion. I won’t even get into the fact that any opinion that a mediator expresses cannot help but favor one of the parties, which is why a competent mediator will be very careful when it comes to expressing any legal opinion. He is supposed to be a neutral third party, not an advocate for one of the parties. The same is true when it comes to drafting a legal document. Knowing how to write a letter to a friend does not make one competent to draft an agreement, particularly one as complicated as the one under discussion here, which in most instances is going to define the parties’ financial relationship with one another for years to come. In fact, drafting is one of the most difficult tasks a lawyer is required to perform, and if the truth be told, far too many lawyers are seriously deficient in this area. What is the answer here? Pursuing that would take us too far afield here. All that I am going to say is that the answer is not to push for certification at the expense of blurring the distinction between being a lawyer and not being a lawyer. Providing legal information, expressing legal opinions and drafting legal documents are not activities which any divorce mediator has the right to engage in unless he is a lawyer, and to suggest otherwise is irresponsible. There is one final problem here and it, too, bears on the issue of responsibility. Those who are championing the idea that non-lawyer divorce mediators should have the right to draft the couple’s ultimate agreement, and who have based that on the fact that students, clerks and volunteers are permitted to do that in small claims, municipal and landlord-tenant courts, have implied that there is judicial authority for this. In other words, they are suggesting that it has been determined, as a matter of law, that this does not constitute the unauthorized practice of law. But, that is simply not the case. To be sure, it is our public policy to encourage private citizens to resolve their disputes quickly and inexpensively and to give them whatever assistance is necessary for that purpose. That is why the courts mentioned enlisting the help of students, clerks and volunteers. But, they are not really performing legal services. They are simply acting as intermediaries. For the same public policy reason, the court then allows them to write down the settlement agreement that the parties have come to, which is little more than a ministerial act, and certainly not the act of lawyering that is involved in drafting a complex separation agreement. If there is really no formal judicial sanction for this practice, why have lawyers not questioned it? 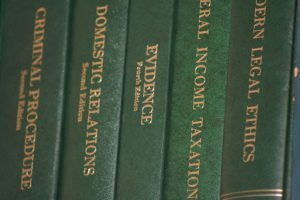 They have certainly questioned lawyers drafting agreements for the parties under these circumstances, and there are numerous ethics opinions taking lawyers to task for doing this. If it is not clear whether it is ethical for a lawyer acting as a mediator to prepare the ultimate agreement that the parties will sign, how can it be argued that there is no question that it is appropriate for a non-lawyer mediator to do this? That raises another question: If the organized bar has questioned the propriety of an attorney acting as a mediator to draft the parties’ ultimate agreement, why have they not questioned the fact that all of these students, clerks and volunteers are drafting “settlement agreements”? They have not questioned it because they do not care. The organized bar does not make its living in small claims, municipal or landlord tenant court. Nor do they make their living with divorcing husbands and wives who represent themselves pro se; couples who appear pro se cannot afford their services. But, they do make their living in those instances when divorcing husbands and wives turn for help, whether it is to divorce mediators or divorce lawyers, and as experience has taught us, they are not going to look away. On the contrary, they are going to be zealous advocates for their own cause, which is not to have people who are not lawyers and who therefore do not have the benefit of a legal education, take food out of their mouths. In short, they are going to challenge non-lawyers who have been encouraged to engage in this practice to defend the charge that they are engaged in the unauthorized practice of law. This article was originally published in The Professional Family Mediator, Summer 2013.